The Torberry armoire or linen press. 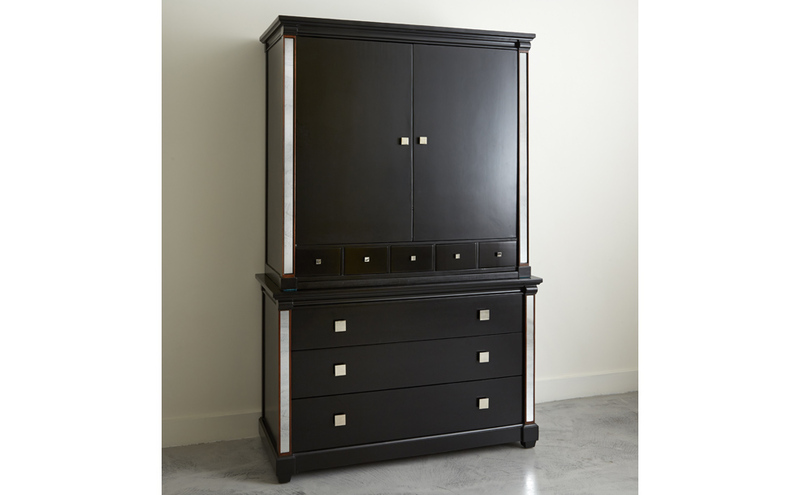 The Torberry armoire or linen press has three bottom drawers and five small drawers under the cupboard section. It is shown here with mirrored detailing at the sides, and mirrored drawer and cupboard pulls.